Had a great time travelling with my best buddies Adrian Verdejo and Michael Dias! The Vancouver show was a very funky venue at the Prophouse. Then we hit the road to my hometown, Nelson, BC. The Nelson audience was very warm and receptive and the United Church sounded great. 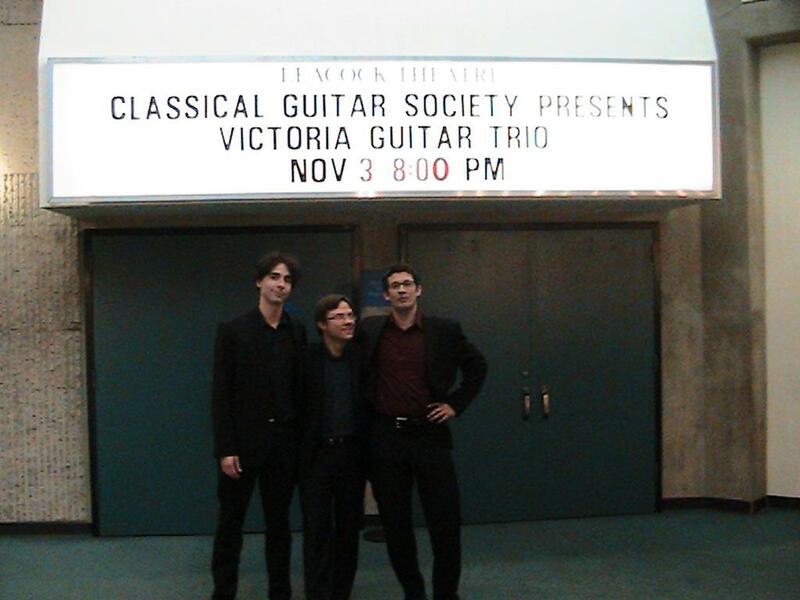 Then we headed to Calgary for a show for the Classical Guitar Society of Calgary. By this point we had made a great number of changes to the pieces, all for the better. Finally those Renaissance pieces are coming off as a hit. I’m pretty much not even playing the original part anymore in favour of strumming and rhythmic accompaniment. Also, each concert the Weinzweig works became more and more theatrical. Almost cracked a laugh when Adrian and Michael got so close I thought their heads would hit. It was a great trip filled with humor, fun, and lots of practicing. Pretty awesome to have two friends to play music with and hang out with. We get along great which is half the game. Every concert gets better and better. Good times. Now to add some new repertoire!